In order to create a Pure Earth or Kingdom of Righteousness the IABS will need much spiritual support from the people. We invite you to join us in the Socially and Revolutionary Path of Buddhist Socialism, which is one of the internal pathways of Maitriyana Spirituality. October 14, 1956 is a historic day because it is the public announcement of the spiritual conversion of Ambedkar. But it is also a date associated with the spiritual conversion of King Ashoka. Thus, the IABS is founded on this same day, paying tribute to these great political and spiritual leaders who contributed to the peace and freedom of India. 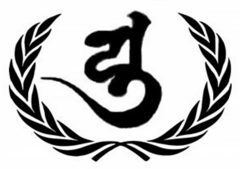 Buddhist Socialism is a main internal way of Maitriyana Spirituality, along with Buddhist Psychoanalysis, Buddhist Humanism, Buddhist Transpersonalism, Buddhist Existentialism, Buddhist Stoicism, Buddhist Relativism, Buddhist Anarchism and Buddhist Ecumenism.